Boxwood Capital Partners Acquires SweetFrog Enterprises, LLC. Boxwood Capital Partners acquires majority ownership of frozen yogurt chain headquartered in Richmond, Virginia which was listed at #22 of Inc. 500 list in 2014. Boxwood Capital Partners, LLC (http://www.boxwoodcapitalpartners.com) is pleased to announce that it has acquired sweetFrog Enterprises, LLC (http://www.sweetfrogyogurt.com). sweetFrog Enterprises (the “Company”) operates self-serve frozen yogurt stores, and franchises sweetFrog stores in the US and Internationally. Boxwood plans to expand sweetFrog’s product offerings, geographic footprint, and continue International expansion. sweetFrog was listed #22 on the Inc. 500 list of fast growing companies in 2014. sweetFrog’s growth has been driven through its family friendly atmosphere, proprietary flavors which tend to be sweeter than West Coast frozen yogurt while healthier than traditional ice cream. Terms of the transaction were not disclosed. Boxwood Capital made a minority investment in SweetFrog in April 2012.
sweetFrog is the fastest growing premium, self-serve frozen yogurt restaurant company in the country. The Company prides itself on providing a family-friendly environment where customers can enjoy soft-serve frozen yogurt, gelato and sorbets with the toppings of their choice. SweetFrog was founded on Christian principles and seeks to bring happiness and a positive attitude into the lives of the communities it calls home. The Company currently has 348 stores including company-owned, franchised and independently-licensed locations in twenty four states in the U.S., Dominican Republic, United Kingdom and soon to be open in Egypt. sweetFrog (http://www.sweetfrogyogurt.com) is the fastest growing premium, all-natural, self-serve frozen yogurt restaurant company in the country. Sweet Frog currently has 348 stores including both company-owned, franchise and independently licensed locations either open or under contract in 24 states in the U.S, Dominican Republic, United Kingdom and soon to be open in Egypt. The company was founded in 2009 and is based in Richmond, Virginia. 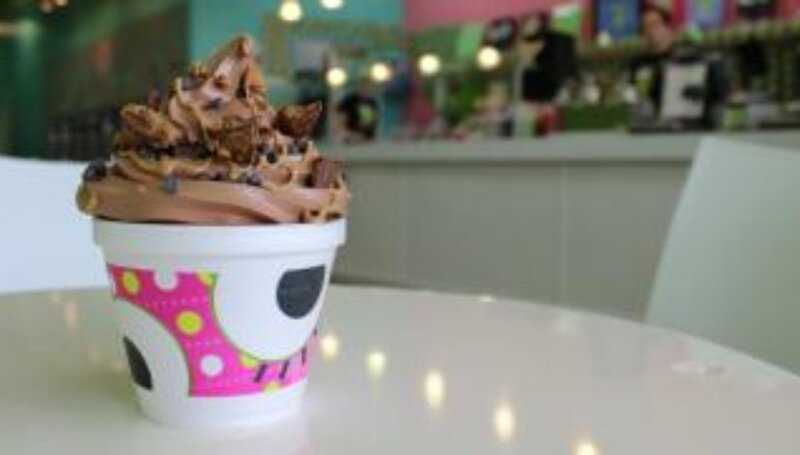 Sweet Frog prides itself on providing a family-friendly environment where customers can enjoy soft-serve frozen yogurt, gelato and sorbets with the toppings of their choice. The company was founded on Christian principles and seeks to bring happiness and a positive attitude into the lives of the communities it calls home. Boxwood Capital Partners (http://www.boxwoodcapitalpartners.com) is a Richmond, Virginia-based private equity firm focused on investing in and acquiring profitable lower-middle-market companies with defensible competitive advantages and attractive growth prospects in a variety of industries, such as e-commerce, manufacturing, franchising, business services, distribution, and consumer products and services. Our professionals’ significant operational experience provides value-added expertise in the areas of business development, management, procurement, technology, strategy implementation, and finance.